Timico Cheltenham Gold Cup Chase Tips – 3m2 1/2f 70y March 18th. This year’s race looks to be one of the most open, competitive, and exciting renewals, since Major Wyndham’s 5yo Red Splash stormed up the hill to beat Conjuror by a head in the inaugural running of the great contest way back in 1924. Team Mullins is mob handed at the time of writing and at least four of them have to be considered, Djakadam, Don Poli, Valseur Lido, and Vautour. Add to these top class animals the wonderful Cue Card, in line for a £1,000,000 bonus if successful, Alan King’s grand warrior Smad Place, and top rated of them all, Gordon Elliot’s 9-y-o Don Cossack (pictured above), and we must surely have one of the most intriguing contests of the modern era in prospect. 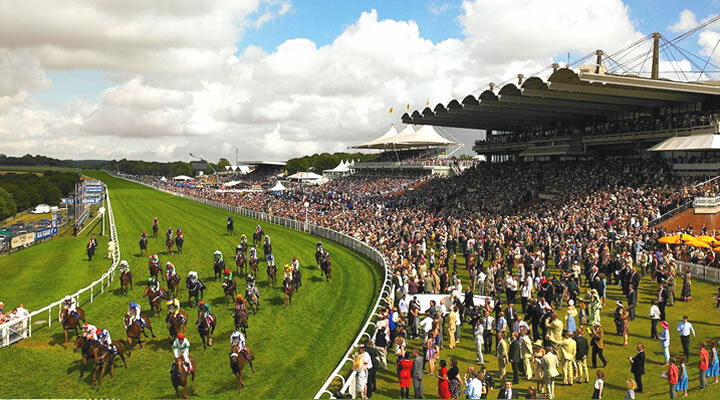 Read some of last year’s Cheltenham Festival tips from the Oddsguru. What a great performance for a 6yo, Djakadam put up in last years contest when finishing second to Coneygree! Always up with the pace, and maintaining a relentless gallop throughout, he had every chance but hit the last and lost vital momentum. He got back on an even keel and stayed on again to secure second place. After such a hard race for a young horse, many felt that stumps should be drawn for the season, but he was back in action six weeks later, and ran well finishing second, seven lengths behind Don Cossack in a Grade1 at Punchestown. He put stable companion Valseur Lido firmly in his place when reappearing at Punchestown in December (2 1/2m) and was then sent off the hot 5/6 fav to take the BetBright chase at Cheltenham in January. He travelled well but blotted his copybook at the 10th taking a nasty fall leaving a suturing job necessary on his chest. It has hardly been the ideal preparation but last year’s performance for a 6yo was outstanding, and it would come as no great surprise to see Rich Ricci leading this one in to the winners enclosure. Also sporting the Ricci colours is the exciting 7yo Vautour. Going down by a head to Cue Card in the King George, he looked the winner coming to the last, but couldn’t resist the late challenge of the Tizzard horse. However his tendency to jump left was no help and he is definitely a better performer going anti-clockwise. The memory of his victory in the 2014 Supreme Novices hurdle, where he led the field a merry dance, remains fresh in the memory. He won by a long looking 6L and beat the great Istabrraq’s course record into the bargain. He also never put a foot wrong when cruising up by fifteen lengths in last years JLT over 2 1/2m at the Festival, running on strongly up the hill. While there must be some doubts about his stamina credentials, this four times Grade1 winner is the class act in the field, and given decent ground is going to take a lot of stopping. Like stablemate Vautour, Don Poli boasts a 100% course record having won the RSA last year and the “Martin Pipe” the year before. His failure behind Valseur Lido at Punchestown six weeks after Cheltenham last April was too bad to be true and is easily excused. He has won both outings this season in workmanlike fashion, most recently the Lexus, where he had to work hard to get the better of First Lieutenant. He is an animal that races very lazily and it is hard to know how good he is. However you don’t win three Grade1 contests without plenty of talent, and his win in the “Martin pipe” demonstrated how much pace he has. He has had an ideal preparation and goes to post a fresh horse who is guaranteed to stay. If it turns into a real stamina test he must have great prospects of giving Willie his long awaited first win in the race. There would be no more popular winner should Cue Card add this to his Betfair and King George victories and bag that £1,000,000. bonus. He is another about whom there have been stamina issues in the past but following a “breathing” operation is enjoying some thing of a renaissance. He certainly hasn’t been stopping at the business end of his three starts this term, and as we saw, outstayed Vautour at Kempton. It is hard to believe that it is six years since he flew up the hill to win the Champion Bumper and three years since his victory in the “Neptune” but if he really does stay he could be the first ten year old since Cool Ground in 1998 to collect. Many observers feel that Gordon Elliott’s 9-year-old Don Cossack might have won the King George but for coming down at the second last, where having run indifferently for most of the race, and not the recipient of the greatest of rides, he was just beginning to stay on, and had gone into second place when falling. He got back on track last time with a facile win at Thurles and if back to the form that saw him beat Djakadam by 7L and Cue Card by 26L in Grade1 chases at Punchestown and Aintree last April, this five times winner at the top Grade, looks to have an awful lot going for him. A wind operation and a change to front running tactics has transformed Alan King’s 9yo Smad Place. He was hugely impressive when making all to win the Hennessy by 12L. Held up in the King George he was a disappointing 4th,but reverting to front running he again impressed when taking the BetBright chase over the course in January. He Probably needs to find 10lbs from somewhere to win, but coming from this yard that is not impossible. Last years third, Road To Riches, seems to be the forgotten horse of the race. The apple of his trainer’s eye, he ran a great race last year and given good ground he could spring a surprise. Last week’s E.W. Selection, Midnight Prayer gave us a great run for our money and must surely have collected but for making that “howler” at the third last in such testing conditions. However it was only his second outing of the campaign and with further improvement certain, he is one to keep in mind for the big one at Aintree inApril. Saturday’s Peter Marsh Chase is going to be run on similar attritional ground so once again stamina is going to be of paramount importance. First run in 1981 it certainly attracted some high class animals in its early years, with no less than four Cheltenham Gold Cup winners featuring on the roll of honour in its first ten renewals. It can safely be said that none of Saturday’s contestants will be troubling the Prestbury Park judges in the big one on March 18th, but nevertheless plenty of decent animals have won this in recent years, with seven of the last ten winners racing off a mark of 140 or higher. Indeed Cloudy Lane collected in 2006 off a mark of 155, carrying 11st10lbs, demonstrating that weight has been no bar to success. Course form has been a most significant factor, with ten of the last seventeen winners boasting a previous course win. It hasn’t been a race for the younger brigade as we have to go back to 1996 to find a winner younger than eight, (Scotton Banks). The McCain yard, with two wins, has the best recent record, but Sue Smiths achievement of saddling a winner and five placed horses from nine runners in the last nine renewals is certainly worth noting, and makes her 10yo, Cloudy Two of considerable interest. Unsuccessful since winning a Wetherby Grade3 handicap off a mark of 148 over two years ago Cloudy Too has been disappointing since, but showed signs of a revival over the course six weeks ago. He was in the process of running a decent race, travelling nicely in second behind the eventual winner Seventh Sky, when blundering badly at the fourth last. To his credit he kept on for third place 13L behind the winner. But for the mistake he would certainly have finished a lot closer and meets the winner on 10lbs better terms so this previous course winner is certainly worth considering. It is amazing to see the six times Grade1 hurdles winner, Reve de Sivola, who has been rated as high as 167 at his peak, racing off a mark of 139 in this different discipline, and if he puts in a performance within a stone of his best over the smaller obstacles, Saturday’s opponents might as well stay in their stables. However his ten attempts over fences to date, have yielded a score of zero, although he has put up some decent performances, getting placed in Festival handicaps at Cheltenham and Aintree and coming fourth in a Grade1 chase at Punchestown. He won’t be inconvenienced by Saturday’s heavy ground, and indeed the more pedestrian pace and easy fences may well help his fencing technique, and spark a revival in the old warriors chasing career. Despite being only seven, the Paul Nicholl’s trained Virak has had plenty of chasing experience. He has contested ten chases, winning four of them and being placed in five of the other six, so perhaps his age shouldn’t be viewed as too much of a negative. In his last race, six weeks ago at Ascot, racing off a mark of 158, he looked a tad unlucky. He tried to challenge between the the two horses in front of him before the last, but failing to get through he had to switch right. Despite loss of momentum he stayed on strongly and was only beaten a length, with the third horse, Saturday’s opponent, Fingal Bay, 3/4L back in third. Hopefully he will be ridden again by Nicholl’s fine young claimer, Harry Cobden taking offa useful 7lbs giving him a racing weight of 11st3lbs. He handles the ground and is a previous course winner, so clearly has plenty going for him. Considering it was only his third attempt over fences, Jonjo O’Neills Spookydooky put up a decent enough performance when finishing second to another of Saturday’s opponents, Seventh Sky, over the course six weeks ago, when racing offa mark of 142. Further progress can be expected from this animal whose pedigree is all about stamina, and meeting Seventh Sky on 9 lbs better terms, things should be much closer at the weekend. A slight reservation would be the poor current form of the Jackdaw’s Castle operation who are struggling for winners. Aidan O’Brien’s contender, Order Of St George, wouldn’t have impressed as a potential Leger winner when finishing second to Parish Boy at Leopardstown last October, but has really come into his own as a three year old. Our E.W. Selection, Magical Memory, certainly belied his odds of 14/1 when finishing third in last week’s Gp1 Sprint Cup at Haydock Park. Always travelling very well within himself, he looked the most likely winner for most of the race, but probably got to the front just too soon. If he goes to Longchamp for the Prix de L’Abbe on Arc day his style of racing would be well suited to the furlong shorter trip, and is one to keep in mind. Saturday’s final English classic, the St Leger provides a test at the other end of the distance spectrum, and looks a fairly open contest. Aidan O’Brien who has already bagged four St Leger victories (but has someway to go to match the nineteenth century handler, John Scott, who trained an amazing sixteen winners between 1827 and 1862) is triple handed, and all three go there with chances. Interestingly all three are by the outstanding Coolmore stallion, Galileo, and two of them, Bondi Beach and Fields of Athenry, boast an even closer relationship, both being out of Danehill mares. All three have won over 1m6f at either listed or group level so stamina shouldn’t be an issue. Despite being drawn out with the washing, Fields of Athenry ran a decent race in the Ebor handicap. Drawn 22 and racing off an eye watering mark of 118, he finished a respectable fifth, despite not getting the greatest of rides from his 5lbs claiming pilot. He did have a hard race on the Knavesmire, but a reproduction of the form he showed the previous time he tackled the distance, at Leopardstown in July, when coasting to victory over the useful four year old Silwana would certainly put him firmly in the picture. A winner of two of his four races, Bondi Beach is showing the benefit of his patient handling by the master of Ballydoyle. Unraced as a 2yo he made his racecourse debut at Leopardstown in May and under a hands and heels ride from Seamie Heffernan, won by a short head from the hot favourite Bantry Bay. He was a slightly unlucky second over 1m4f four weeks later, but upped to 1m6f next time he won a Gp3 by a short head from stable companion Order Of St George. Reverting to 1m4f in the Gp2 Great Voltigeur seven weeks later he looked an unlucky looser. Backed in to 11/4 favourite he was making steady progress over the last three furlongs when taking a bump one hundred and fifty yards out from Storm The Stars, who then carried him continuously to the left. He went down by 1/2L and in the subsequent controversial stewards inquiry, despite the jockey being stood down for three days the Haggas horse was allowed to keep the race. To this observer the best horse was second, and with an extra two and a half furlongs to travel at the weekend has excellent prospects of reversing the placings. The third O’Brien contender, Order Of St George, wouldn’t have impressed as a potential Leger winner when finishing second to Parish Boy at Leopardstown last October, but has really come into his own as a three year old. On his reappearance, he ran stable companion Bondi Beach, who had the benefit of two previous runs to a shd, and then had little more than an exercise canter when winning at Down Royal four weeks later. On his latest appearance, Gp3 1m6f sft at the Curragh, he looked most impressive, winning by 7L and 8L from Seamoon and Kingfisher. He has clearly thrived since upped in trip and looks the one to beat on Saturday. Storm The Stars who has accumulated £535,000 in win and place money must be a lovely animal to own. He ran two marvellous races when coming third in The Derby, and second in the Irish Equivalent. He demonstrated his toughness when coming third in a Longchamp Gp1, only seventeen days after his Irish Exertions and showed no signs of tiredness when collecting at York. He is a thoroughly genuine and likeable horse, but has had a very demanding season, and with some stamina doubts on the distaff, is passed over. Magical Memory is a sprinter going places, and it would be no surprise if he becomes the first of his generation since Danetime in 1997 to lift the cup. I hope you were on last week’s E.W. selection in the King George V1 and Queen Elizabeth Stakes, Postponed. What a great ride from Andrea Atzeni, undoubtedly one of the most talented pilots riding at the moment. He exploited the Cumani colt’s reserves of stamina and courage to get back up in the shadow of the post and won by the proverbial nose. Speed rather than stamina is the prerequisite for Saturday’s test, and Charlie Hills’ yard which is doing so well with its sprinters this year is the first port of call. His 4yo Tanzeel, who won with such authority on the Knavesmire last week is of obvious interest with a 6lbs penalty, but is not a definite runner, so perhaps the one to concentrate on is his 3yo Zebedee gelding, Magical Memory. While 3yo winners of the Stewards Cup are something of a rarity in recent years, this can be put down to the paucity of qualifiers in this age group, something that is not a problem for the very progressive Hills 3yo. He was hugely impressive in his last race, a £100,000 Cl2 handicap at Newmarket, which he took in very taking fashion by 2L, earning him a rating of 102, and comfortably qualifying him for Saturday’s contest. Magical Memory is a sprinter going places, and it would be no surprise if he becomes the first of his generation since Danetime in 1997 to lift the cup. One slight caveat would be that all his wins have come on tracks with a stiff uphill finish and it remains to be seen how he copes with Goodwood’s downhill helter skelter course, ( he finished 6th of 12 behind Son of Africa on his only course appearance ). However he seemed to cope well on the Newmarket July course, the early part of which is downhill, so perhaps any concern is misplaced and he is shortlisted. Roger Charlton has won the race three times, so certainly knows what is required. Two of his three winners have been with 5yo’s, and he is represented by another of that generation, Huntsmans Close on Saturday. Unfortunately he got loose before the Wokingham Stakes, for which he had been strongly fancied, at Royal Ascot, and had to be withdrawn, but did redeem himself a week later when comfortably winning a competitive affair at Windsor. A winner of the Ayr Silver Cup he is very much at home in the hurly burly of these big handicaps and is another for the short list with his nice racing weight of 9st2lbs. If getting into the race, Peter Chapple-Hyam’s 4yo, Direct Times, would be of considerable interest. Very lightly campaigned, he has only run five times, and has won three of them, last time under Saturday’s pilot, the very promising apprentice Tom Marquand. They easily won a Cl4 Newmarket handicap six weeks ago, carrying the steadier of 9st9lbs. With just 8st2lbs, (including Marquand’s 5lbs claim) on his back, Direct Times will think he’s loose, so although Saturday’s contest represents a huge step up in class, he is seriously considered. Beaten less than 2L in a class2 5f Ascot handicap last time, and a similar distance in a very competitive 5f heat at the Curragh prior to that, Mike Murphy’s 5yo Discussiontofollow now returns to what is probably his optimum trip in a race that he finished 6th in last year, so is of definite interest. 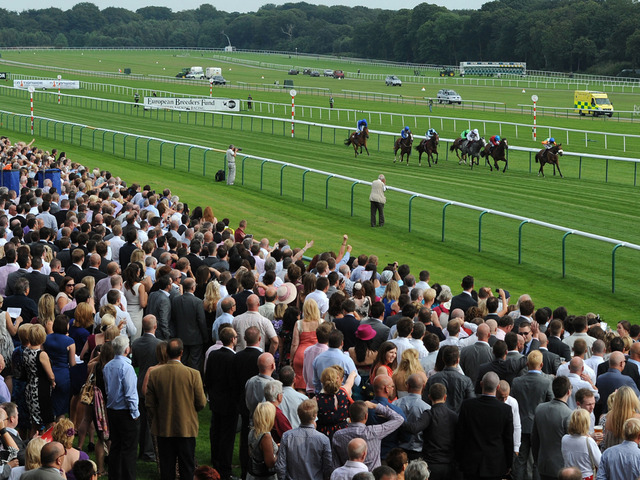 Richard Fahey’s Tatlisu was backed in to 8/1 for the Wokingham, but disappointed badly, finishing 24th of 25. He ran much better last time off the same Mark (97) as Ascot, finishing 2nd in a Cl2 handicap at Hamilton. Racing off the same mark again at the weekend, and at a course where on his only other appearance he performed well, it would be no surprise at all to see his uber shrewd trainer taking another trophy back to Malton. Dean Ivory’s 7yo gelding Tropics has been plying his trade at the top level, and indeed went as close to winning in this grade as you can without actually doing so in the July Cup last time. However his rating of 113 gives him a burden of 9st13lbs to carry on Saturday. As no animal, apart from Hoof It, who managed to win with the welter burden of 10st in 2011, has carried more than 9st10lbs in the past thirty seven years, the super game Ivory gelding is reluctantly passed over. 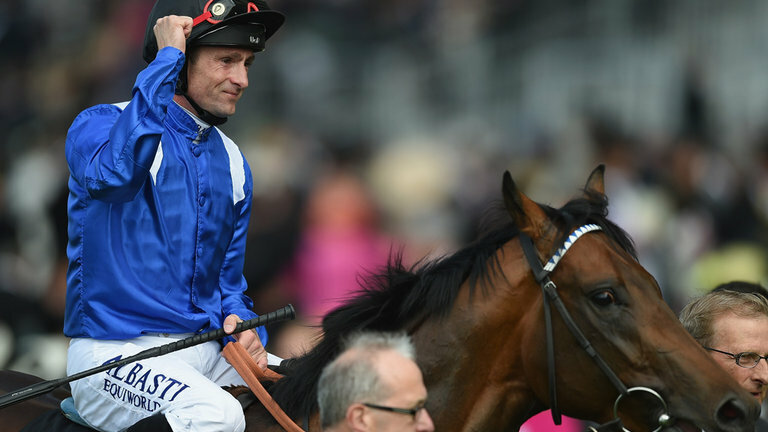 Gimcrack winner Muhaarar is the Oddsguru’s fancy for Saturday’s big race. First run in 1876, The July Cup is considered by many to be the 6f championship, and with names such as Green Desert, Soviet Star, Cadeaux Genereux, and Royal Academy, on the roll of honour, it is hard to disagree. Winning form at the distance has been of paramount importance, the only exception in recent years being the filly Fleeting Spirit, who had been runner up in a 6f Gp1. With only seven 3yo’s collecting in the last twenty runnings, it can’t be said that the younger generation are having the best of it, but historically honours have been pretty evenly shared. The outstanding 3yo in this years renewal is undoubtedly the Charlie Hills trained Muhaarar. By the outstanding sire Oasis Dream, he is a product of his owner, Sheik Hamdan’s, Shadwell stud. Muhaarar had a fine two year old career, which included a win in the 6f Gp2 Gimcrack Stakes, and a third in the 6f Gp1 Middlepark. He surprised many when winning the 7f Gp3 Greenham stakes on his reappearance, but then blotted his copybook when finishing 8th in the French Guineas. Excuses were made due to his wide draw, but, wisely returned to sprinting, he has been a revelation. In the newly inaugurated Gp1 Commonwealth Stakes, a 6f contest confined to 3yo’s at Royal Ascot, where held up off the pace, Muhaarar came with a devastating run in the final furlong to go clear, beating the high class Limato by 3 3/4L, with Saturday’s rival, Anthem Alexander, a further 3/4L back in third, in a time faster than the following days Golden Jubilee Stakes. A repeat performance at the weekend must give him great prospects of emulating his sire, who won this in 2003. Chris Waller must have been a bemused and disappointed man following the defeat of his Australian champion, Brazen Beau, in the Diamond Jubilee at Royal Ascot, where amazingly his rider Craig Williams chose to race all alone on the stand side. Considering he had nothing to run with he ran a marvellous race to finish second, 1/2L behind Undrafted, with Saturday’s opponent, Astaire 1 3/4L back in third. He has been twice a winner at the highest level over the distance in his native Australia, on the last occasion ( March 14th) in a blindingly fast time. One slight negative is that due to the vagaries of the breeding seasons between the Northern and Southern Hemispheres, he is classified as a 4yo ( despite being only 5 months older than Muhaarar) and has to concede the weight for age 6lbs. However with James Doyle now in the plate, and sporting the Godolphin colours for the first time, this outstanding sprinter is going to take all the beating at the weekend. David O’Meara pulled off a minor miracle when winning the Gp1 sprint at Haydock with the then 3yo, G Force last September. He has been disappointing in his three races since, but two of them have been at Ascot, a course that may well have not suited him. His other run was in the 5f Temple Stakes at Haydock where he met all sorts of trouble in running and finished 5th. His brilliant young trainer reports that the “engine is still intact” so returned to 6f on Saturday, it would be no surprise to see him involved at the business end. Richard Fahey’s 4yo gelding Eastern Impact obviously enjoys the East Anglian air as three .of his four wins have been at headquarters. He beat last Saturday’s talented Windsor winner, Huntsman’s close, on his reappearance at Newmarket in May, but then failed to get in a blow behind Tropics at Windsor. However his close 4th in a Gp3 at Newcastle (June27) was more encouraging, so in the hands of R.Fahey, who won this with a similar type, Maysoon, three years ago, is considered. The unlucky horse in the Newcastle race was undoubtedly Michael Appelby’s 4yo gelding Danzeno. Slowly into his stride, under a less than inspired ride from Andrew Mullen, despite stumbling after 2f, he finished 3rd, behind Aeolus and Saturday’s opponent, Mattmu. Frankie Dettori takes over riding duties at the weekend, so at odds of 20/1 he could represent some e.w. Value. Another whose sire won the race is the Michael Lynam trained Anthem Alexander. By Starspangledbanner, who won the 2010 renewal, his 3yo daughter is proving to be a super game and talented racehorse. She ran a great race when finishing third to Muhaarar at Royal Ascot, but on paper her prospects of reversing the form look remote. However Lynam, who is such a master trainer of sprinters feels that perhaps the Ascot race had come too soon following her reappearance victory at Naas eighteen days earlier, and expects things to be closer on Saturday. It is worth pointing out that fillies and mares have a poor record in the race, with only two succeeding in the last thirty years, so perhaps a place is the best that can be hoped for. The very underrated Keith Dalgleish has done a marvellous job with the ex Sir Michael Stoute trained 5yo, Oasis Dream gelding, Pressure Point. Luca Cumani has won the Haydock race four times since 1997, (the last time with Mad Rush, 2008) so current joint favourite, Penhill is of interest. He looked an animal to keep on the right side of when winning a Cl3 1m4f Ascot handicap, off a mark of 86 on his reappearance, when a well backed 13/8 fav. He went of at even shorter odds, 6/4, to follow up at Newmarket three weeks later off a 7lbs higher mark in a Cl2 event, but never really got competitive behind Watersmeet. He took a very strong hold, and Cumani reported that Penhill was unsuited by the course. Returned to a left handed turning track, (has won over Nottingham’s similar course) it would be no surprise to see his uber shrewd trainer in the winners enclosure on Saturday. Andrew Balding’s very progressive 4yo Mount Nelson filly, Elbereth, looks interesting. On only her second start on turf she stepped up considerably on her first, where despite not handling Brighton’s idiosyncratic course, she was only beaten 3/4L in a Cl3 handicap off a mark of 80. Ridden by the very promising 7lb claimer Edward Greatrex, she was stepped up to Cl2 level at the Derby meeting and won cleverly off a mark of 86.(1m2f). Due to race off an 8lb higher mark at the weekend,( 7lbs will again be negated by Greatrex’s claim ) and having won over the distance, albeit on Wolverhampton’s all weather surface, this fast improving filly with just 8st4lbs (including the 7lbs claim) in the plate, has a lot in her favour, and is shortlisted. The very underrated Keith Dalgleish has done a marvellous job with the ex Sir Michael Stoute trained 5yo, Oasis Dream gelding, Pressure Point. Beautifully bred, this full brother to the Group1 winning Visit, and half brother to the top class filly Promising Lead, who has also succeeded at the top level, was bought out of the Stoute yard, having failed to catch the judges eye as a 3yo. under the Dalgleish tutelage he picked up a Cl5 handicap at Mussellburgh last September off a mark of 67. He won a similar contest at Newcastle in April this year off 70, but it was his last run which emphasised the progress that has been made. Stepped up to Cl3 level at York at the end of May (1m4f) he stayed on well to beat Dance King off a mark of 83. It is quite probable that there is plenty more to come from this very well connected animal, and it will be no surprise to see him staying on strongly up the long Haydock straight at the weekend. Definitely one for the short list. 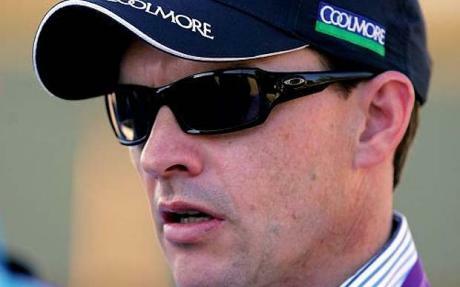 Roger Varian, whose horses invariably perform well at Haydock, runs his 4yo Galileo colt, Battersea. He won a Cl2 Ascot handicap (1m4f) off a mark of 90 in very taking fashion last September, but disappointed six weeks later in a similar contest, off a 10lbs higher mark at Newmarket. The Newmarket effort was too bad to be true, so considering normal improvement from three to four, he doesn’t look badly treated on 99. Perhaps he is one best caught fresh, so is well worth a second look. Amanda Perrett’s Sea the Stars 4yo colt, Astronereus, ran a fine race in the Duke of Edinburgh Stakes at Royal Ascot to finish 3rd off a mark of 100. He has been raised 2lbs for Saturday’s contest, giving him an intimidating burden of 9st5lbs to carry. However the Ascot race has been a good guide to this, so provided the two above him in the handicap don’t come out (triggering a further weight rise), his chance has to be respected. Alan Swinbank, who won with Collier Hill way back in 2003, runs his 4yo Galileo gelding, Kinema. He showed how well suited he is by a truly run race at the trip, when winning over Carlisle’s testing track (1m3 1/2f) last week off a mark of 84. Having run seventeen times he is quite exposed, but he has been mostly campaigned at shorter, so perhaps the step up in trip has elicited improvement. Again partnered by the very talented Ben Curtis, he is worth keeping an eye on.